The Barnwood used in this collection is reclaimed from fences and barns, can consist of a mix of mahogany, cherry, oak, pine, or alder woods, and is finished to showcase the unique characteristics found only with age. This set is completely customizable and can be ordered in a different stains to accent the natural colors of the Barnwood. Come in to see all of our available finishes and options on our showroom. We feature three different styles for this collection: The Bear Paw, Arched, and Premium Collections. Our Bear Paw and Arched Collections feature barnwood panels and solid lodgepole pine posts, while the Premium Barnwood Collection (See Below) features solid barnwood on the panels and posts. All collections are available in a number of carvings or slate accent panels. Bear Creek Barnwood Rocky Mtn. TV Armoire w/2 Door 4 Dr. Available with Round Metal or Branch Handles. Add $50 for 2 Pine Tree Carvings on the top drawer. 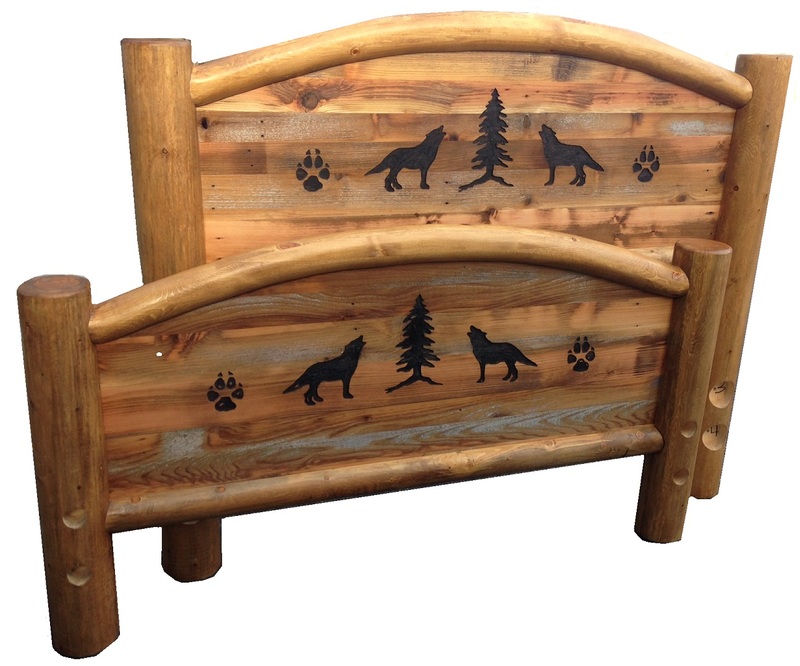 Add $100 for 4 Pine Tree, Bear Paw, or Moose/Elk Hoof Carvings on the top drawers or $120 for Bears. *Dimensions are Approximates. Exact dimensions can be ordered on request. In that these are built by hand from scratch here in Salt Lake City, all pieces seen on this page are available in customizable dimensions. Please call a sales associate for custom pricing and estimated shipping times. In many cases, our builder can adjust certain dimensions without a change to the retail price! Call 801-484-1007 with questions.